Turpin children taunted: Pictured, David Turpin as he appeared in court, Thursday where he pled not guilty to the charges against him. Turpin children taunted: Pictured, David Turpin as he appeared in court, Thursday where he pled not guilty to the charges against him. Screen shot via DailyMail TV. 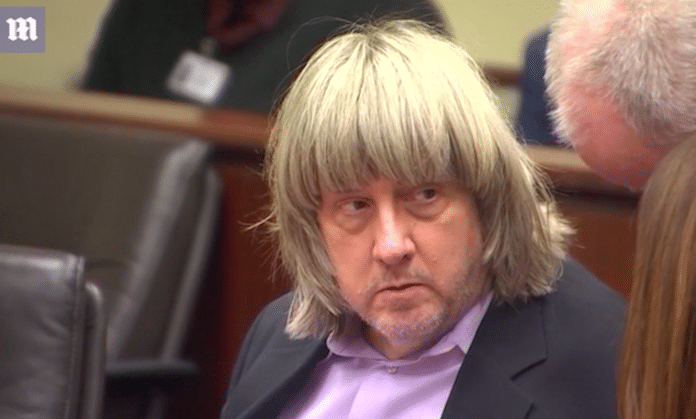 Turpin children taunted: Prosecutors itemized a long list of emotional and physical abuse against the 13 California siblings which defied understanding and compassion. Prosecutors on Thursday revealed David and Louise Turpin taunting their Murriet, California brood of 13 siblings buying pies and toys to enjoy for themselves — but never sharing with their children. ‘They bought a lot of toys they never opened, they bought food that they ate and didn’t share with the children,’ Riverside County District Attorney Mike Hestrin said at a press conference as he announced charges against David Turpin, 57 and Louise Turpin, 49. ‘This included pies — apple pies, pumpkin pies — and they would leave them on the counter and not allow the children to eat them,’ the DA said. The Turpins fed their children ‘very little on a schedule,’ leaving the siblings so malnourished, they look far younger than they really are, he alleged. ‘One of the children at age 12 is the weight of average 7 year old,’ Hestrin said, adding the the eldest daughter, who is 29, weights just 82 pounds. Turpin children taunted: A list of cruel behavior and acts that ‘literally spans the globe,’ says judge. The DA revealed the children only being allowed to eat once a day, along with a long list of cruel behavior, including allowing the children to only shower twice a year, being beaten if they washed above the wrists. Other acts of cruelty and disregard included chaining the children to furniture and having last taken any of the 13 siblings to see a doctor four years ago and not once for a dentist. The Turpin children as part of the emotional abuse they were subjected to were denied toys, though toys were found in the house in their original packaging, serving to supplant their childhood. The family would regularly go to bed at 4 to 5 a.m., slept through the day and stay up all night. David and Louise Turpin’s alleged abuse of their children started when they lived in the Fort Worth, Texas, area and intensified when they moved to California in 2010, the prosecutor said. The charges cover alleged acts in Riverside County from 2010 to the present. Reiterated Hestrin, ‘What started out as neglect became severe, pervasive, prolonged child abuse’. The torture included beatings and chokings, the DA said. The children were allowed to write in journals, and hundreds have been taken into evidence. Asked if the parents have indicated why they treated their children this way, Hestrin said he couldn’t comment about that. The parents face up to life behind bars for torture, child abuse and neglect after cops found their offspring malnourished and living in squalor Sunday. 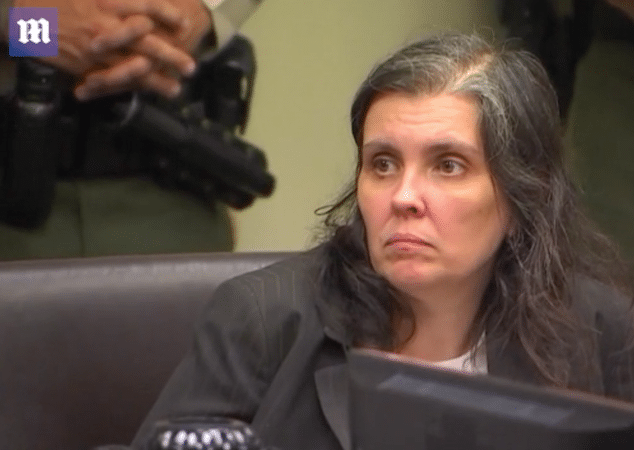 Turpin children taunted: Pictured, Louise Turpin as she appeared in court, Thursday. Turpin children taunted: Murrieta parents plead not guilty as no reason is offered for their alleged transgressions. Appearing in court on Thursday the Turpin parents pled not guilty to no less than 38 charges against them. Each parent was charged with 12 counts of torture, 12 counts of false imprisonment, six counts, of neglect and seven counts of abuse of a dependent adult. Bail was raised from $9m each to $13m each. Family members had previously told of the couple being ‘deeply religious,’ and following God’s design to procreate as many children as possible, with the family’s ability to provide for their brood becoming a dire task after David Turpin lost his $140K engineering job with defense contractor, Northrop Grumman sometime in 2010-11 and accumulating debts of up to $250K. The Turpins were remanded to next appear in court, February 23rd.